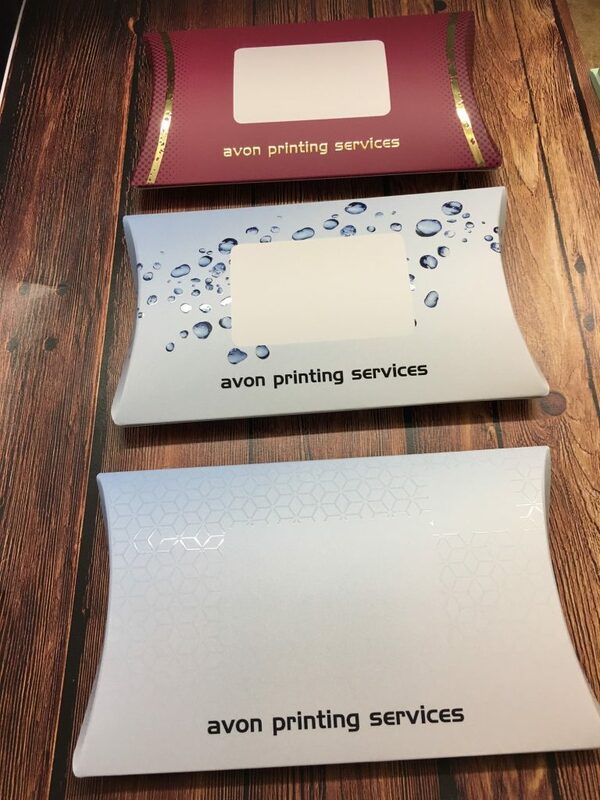 Our own branded pillow packs with foil blocking and spot varnish. 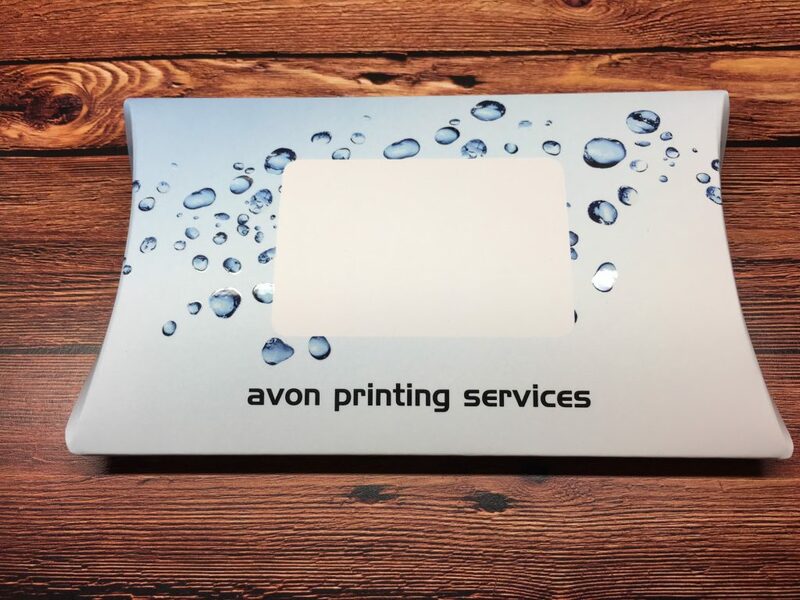 This new method of foil blocking and spot varnishing is ideal for short runs. 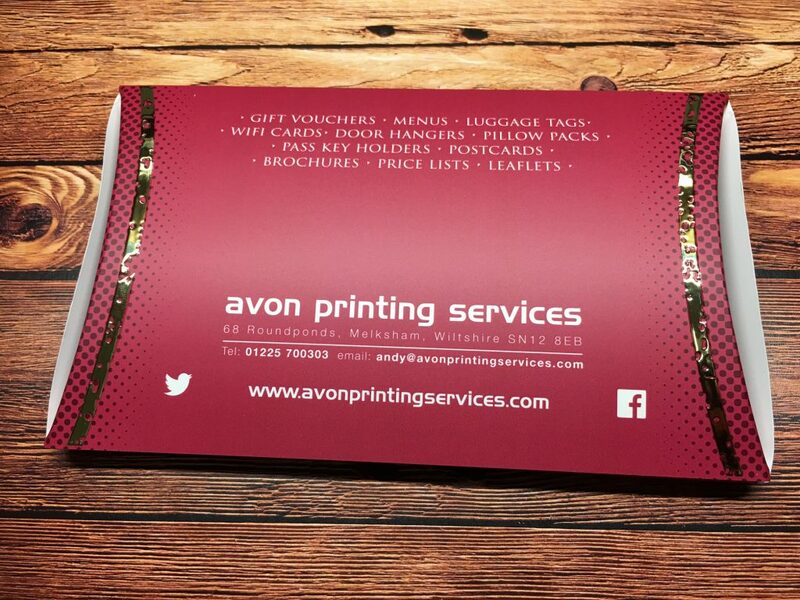 Looks as good as tradional foil blocking and spot gloss uv varnish. Some would even argue it looks better! 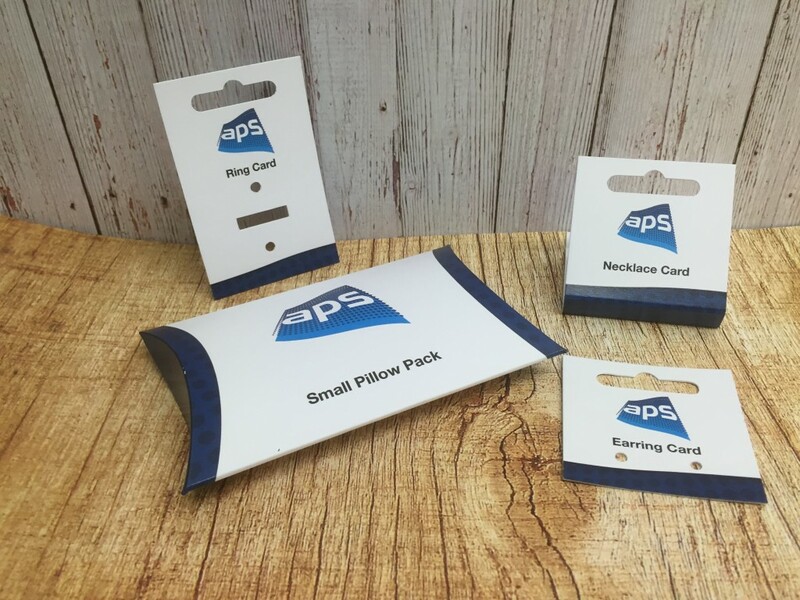 The pillow packs are ideal for marketing and these particular pillow packs can be sent second class post at only 76p each. Plus you can fill these 20mm deep packs with marketing goodies, treats or samples. They are also ideal for gift packaging jewellery, gifts, chocolates and much more. 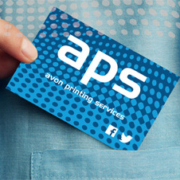 Phone or e-mail us today for a free quote regardless of quantity required. Clients are already taking advantage of our large sheet print facility on our new colour digital press. 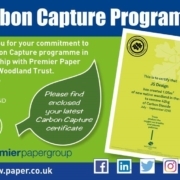 This new facility allows us to print on to a sheet size of 340 x 640mm which means we can now offer A4 landscape folded leaflets and brochures along with A4 6pp folded brochures. The photos below show a 6 page foldout cover with 12 pages of text stitched in to the 2nd fold of the cover. 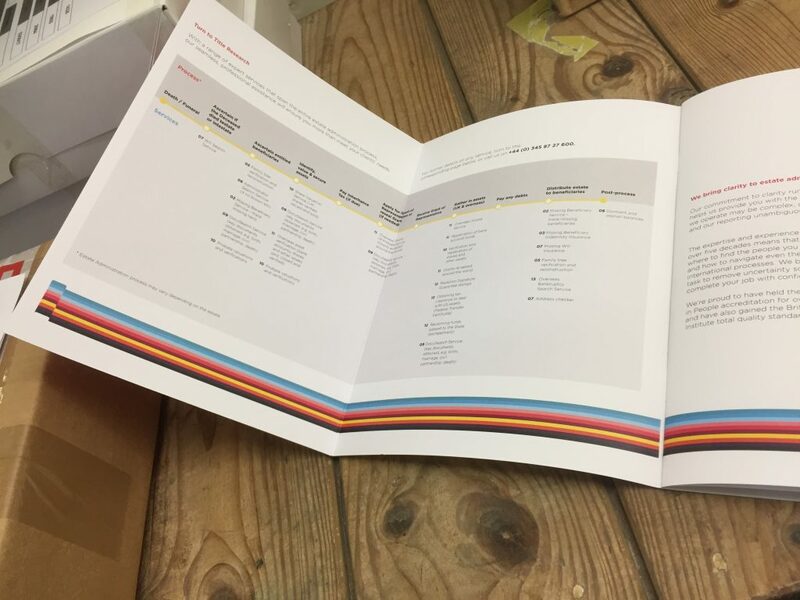 The finished size of the brochure is also not a standard A size instead the client has gone with a bespoke size of 240 x 180mm making their brochure more unique and easier to handle and store. This smart looking brochure was printed on 250gsm offset/uncoated for the cover with 170gsm offset/uncoated for the text. 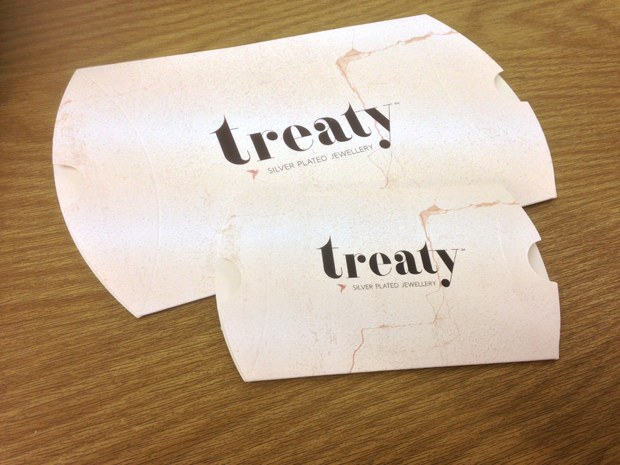 Another key factor of this project was the client only needed 20 copies for a film shoot and exhibition. 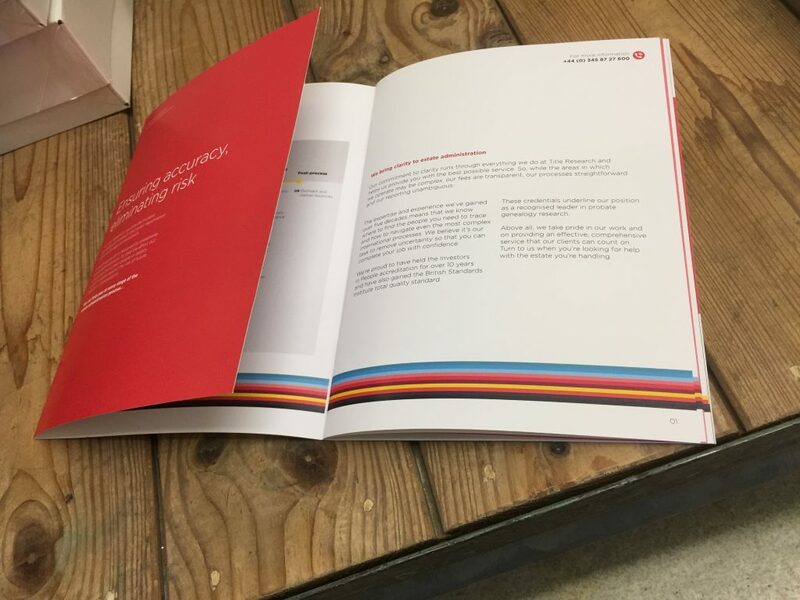 Because of the minimal set up costs and our large sheet print facility we were not only able to produce this brochure with a 6 page cover and for a fee under £200 but we were able to print and deliver in 3 working days. As you can imagine the client was one happy bunny with the quality and service. Even the accounts department were happy as it came in under budget. 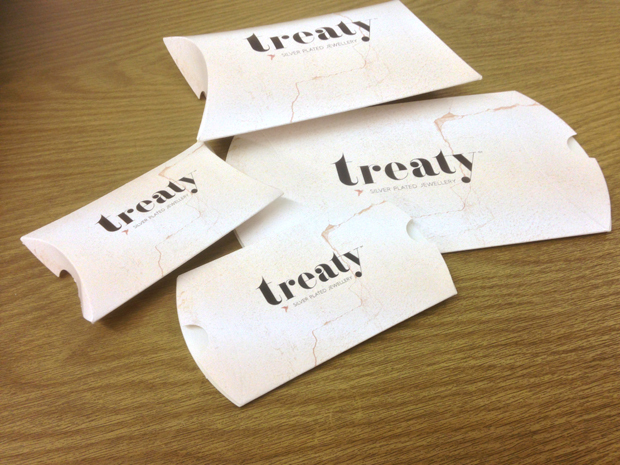 So if you are looking to give your company literature a fresh look then please give us a call or drop us an e-mail. 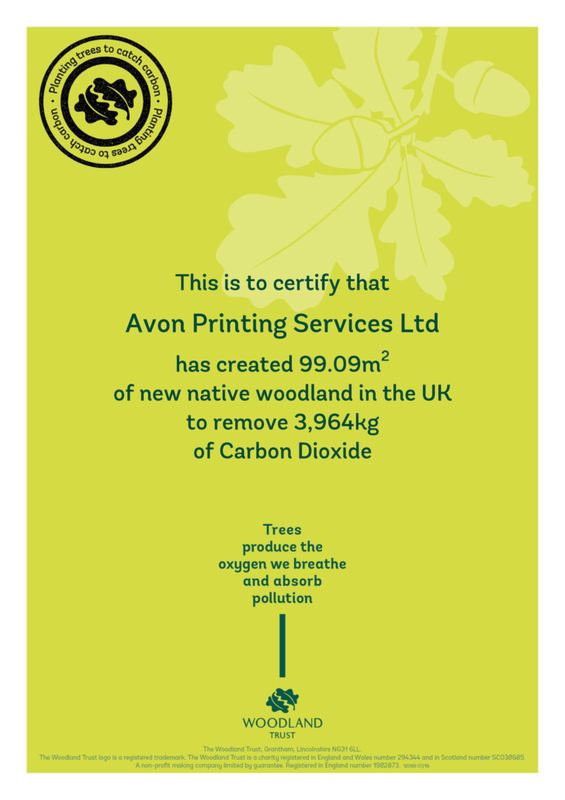 The new digital press now allows us to offer a more bespoke print service. 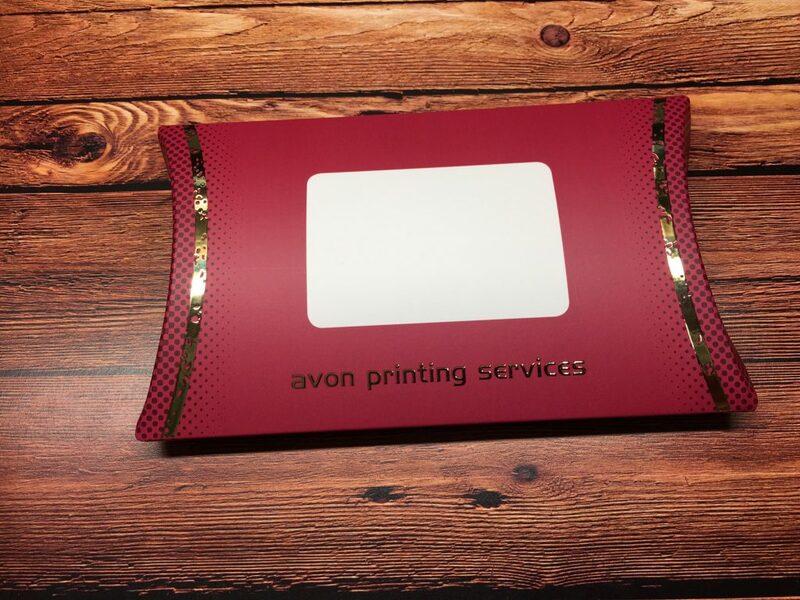 So no need to order 1000’s of pre printed branded envelopes for your business as this machine allows us to print C4, C5 & DL envelopes in 4 colours starting from quantities as low as 50. We can even personal them at the same time with name and address details. 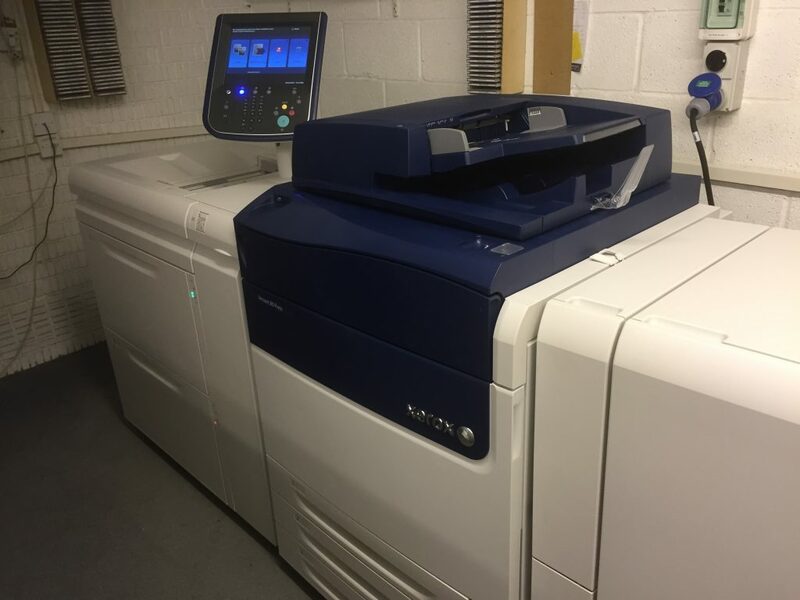 And it doesn’t stop there………this new machine will produce short runs of NCR (Duplicate copy) Pads as well as more glamorous A4 6pp and A4 Landscape Brochures. 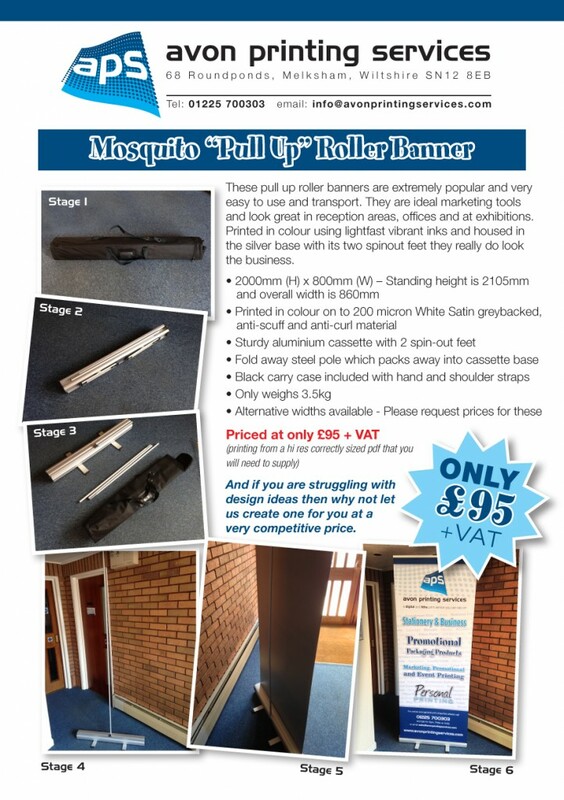 Ideal for promoting your business especially if in the Hotel, restaurant or Estate Agency business. Again print runs for these brochures can start as little as 25 copies! 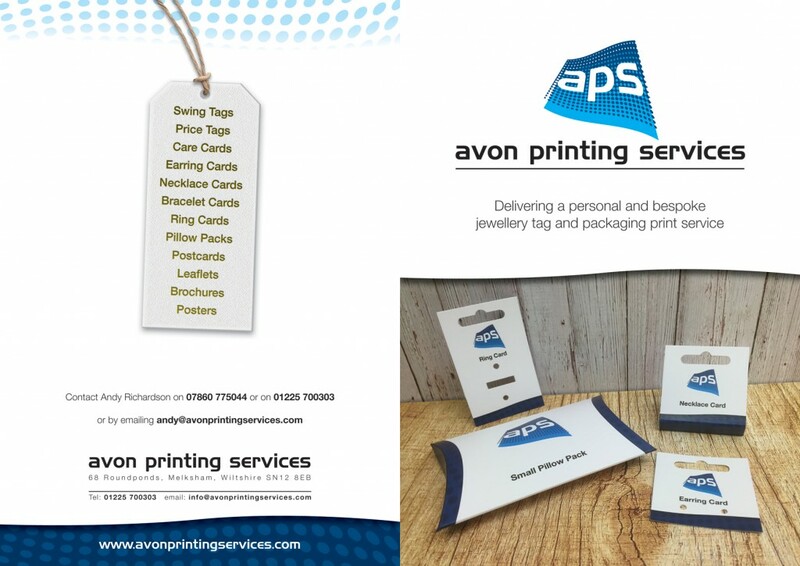 Producing bespoke jewellery tags, cards and pillow packs. 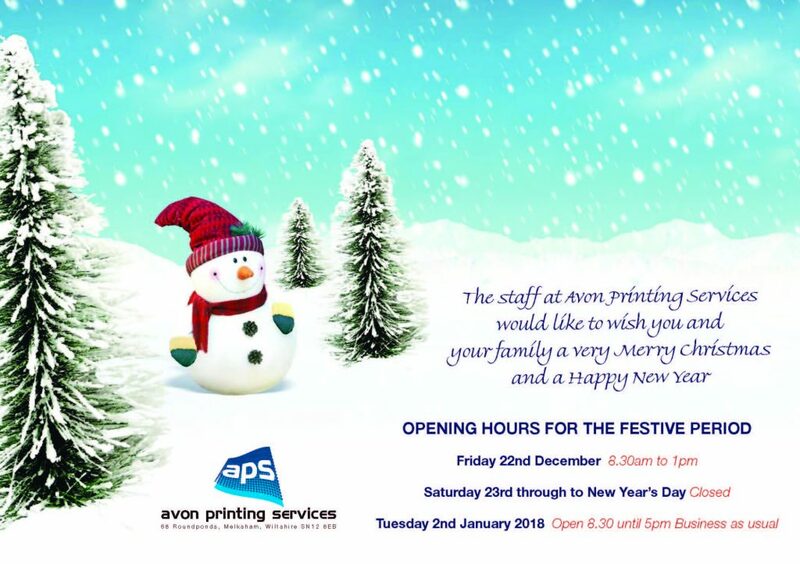 Designed, printed and manufactured to your requirements. Call or e-mail us today for a quote. 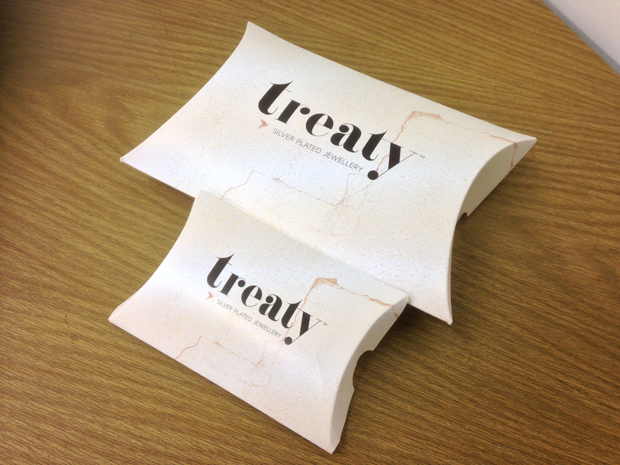 Pillow Packs – Printed and manufactured to your specification. The examples below show 2 different sized pillow packs used for housing exclusive jewellery. 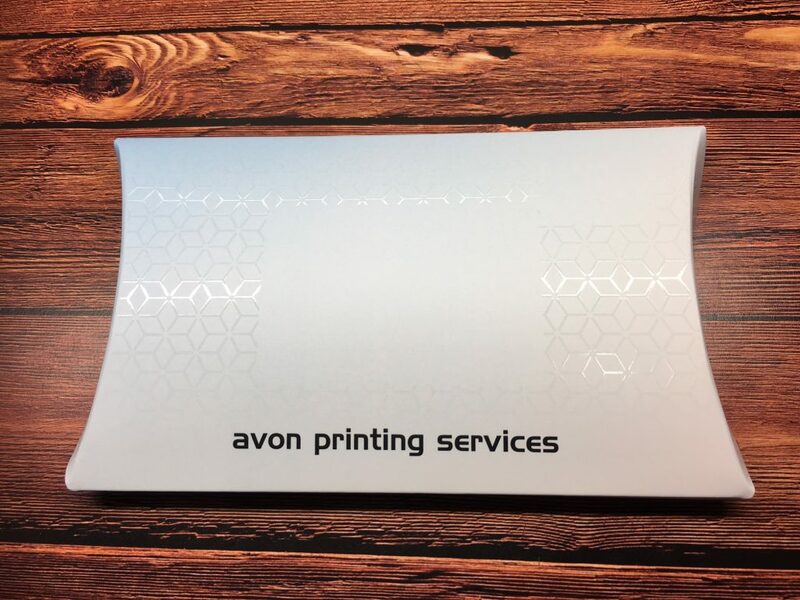 Printed in four colours on to a good quality 450 micron one sided folding box board which has an excellent print surface and offers great protection to the enclosed items due to the strong and rigid nature of the board. 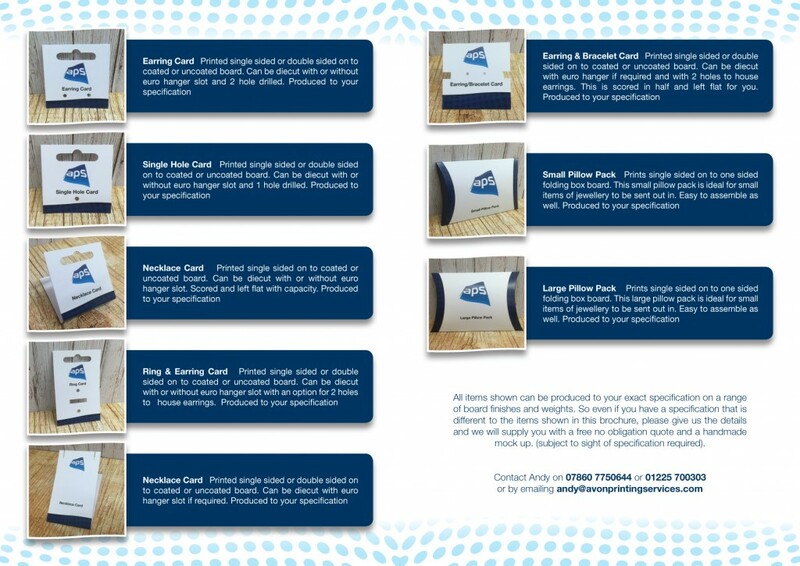 These pillow packs are tailored and manufactured to your specification. Designed to lay flat which helps keep storage space to a minimum, these can be erected and ready to use in seconds. Pillow packs like these 2 examples can actually be used for many different purposes and are an excellent and creative way to advertise and promote your brand and business in a true professional fashion. 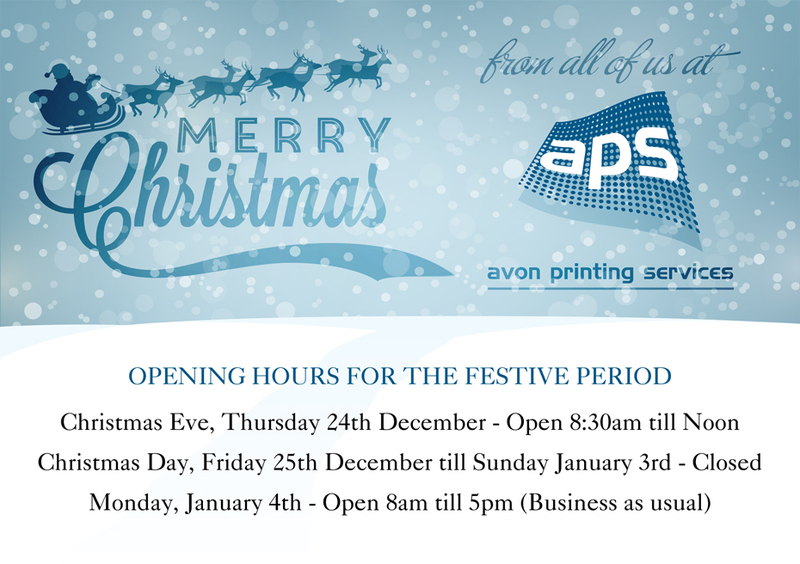 Call or e-mail us today for your free no obligation quote.